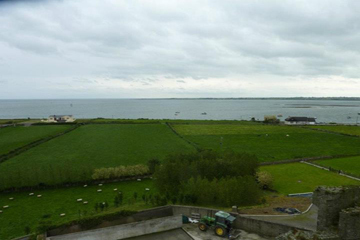 RESIDENTS in Greencastle, County Down, are deeply concerned at a proposed development on their doorstep. On the back of DOE Minister Attwood’s decision to back the Narrow Water Bridge which should increase the flow on visitors across Carlingford Lough, his decision to turn down a 100-berth marina in Warrenpoint, and current developments to build a marine windfarm off the County Down coast, fears are now mounting that a ferry service from Greenore in County Louth to Greencastle may be built in their local harbour. A private company called Carlingford Lough Car Ferry Ltd is understood to be in the planning stages of this proposal. 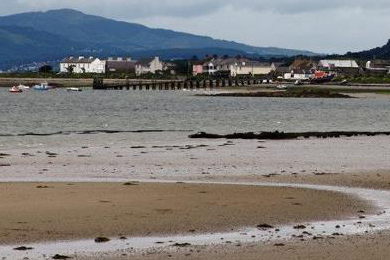 Residents in Greencastle, County Down, are concerned that a ferry terminal will be built on their doorstep. Denise Cunningham, secretary of the Greencastle Area Residents’ Group, explained, “We understand this project has been in planning for over six years but there has we feel been a lack of consultation with residents. We were first informed about this proposal in late September 2011, and there was very little information provided at that public meeting. Since that meeting the residents group have tried to engage with the developers with little success, and it was only in November 2012 that a follow up meeting was held. We requested a public meeting to be held so that all residents in the area can be provided with as much information on this proposed development. 90 per cent of local residents are opposed to it. “We believe that overall infrastructure for such a ferry development does not exist within the Greencastle area. The road infrastructure is unable to sustain any increase in traffic. The proposed developed could see a potential 950 to 1400 cars per day during peak summer periods, which is a potential 40,000 vehicles in one month. There is also the possibility commercial vehicles will make use of the ferry adding more pressure to the road network. Denise Cunningham then explained that their fears were compounded by the possibility that the proposed landing site for the development on the Greencastle side is to be located in front of a medieval church and a thirteenth century Anglo-Norman Castle which was built by Hugh de Lacy. The Association believes this development may ruin the rich and unique natural heritage that exists in the Greencastle Area. A view over the area where local residents believe may be the site for a ferry terminal. She said: “Because of the location of the proposed site, the Pier is expected to be approximately 154 meters in length, which is twice the length of the existing old wooden pier which was built in 1880. In the past any impact study for a proposed ferry between Greencastle and Greenore always suggested that the only workable site was beyond the hamlet at Greencastle Point which would result in a smaller infrastructure and also a shorter and safer crossing time.